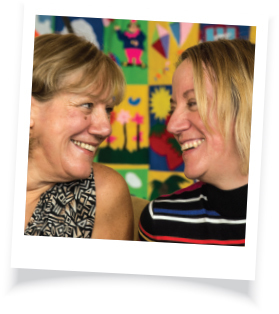 Research has shown that people with long-term conditions, such as stroke, recover better and feel better with the mutual support of others in similar situations. You gain support, understanding and encouragement, celebration of your achievements and sympathy in your set backs. Everyone there knows that recovery from stroke is a long-term process. Bristol After Stroke offers four Stroke Support Groups that meet weekly across Bristol and South Gloucestershire. The main benefits are encouragement, friendship and a chance to join in a range of activities. They provide physical and mental stimulation - such as art or creative work - to aid rehabilitation within a supportive social environment. We also have a long-standing practical gardening group which meets weekly in Downend. All prospective group members meet first with a Stroke Support Coordinator who will be able to tell you about the different groups and introduce you. For people’s safety, we do require a certain level of independence at our groups and your Stroke Support Coordinator will able to assess your needs and risks. People with communication problems are welcome at all our groups. Bristol After Stroke runs three monthly drop-in Stroke Cafes in Bristol and South Gloucestershire. These are more informal opportunities to meet others in a similar situation, get advice, guidance and information, and meet our Stroke Support Coordinators, and have a cup of tea or coffee!